In 2007, the Northern Ireland Commissioner for Children and Young People’s (NICCY) Democra-School guidance pack was developed with the co-operation and involvement of pupils, teachers, and key officials at board and department level. The Democra-School guidance pack contained practical advice on how to set-up, or improve, pupil participation within school. 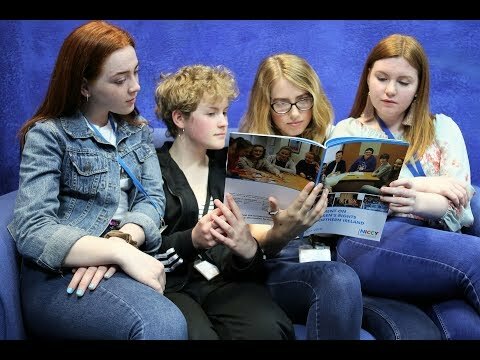 Every school in Northern Ireland received a copy of the pack. Explore the use and knowledge of supporting materials for pupil participation, such as NICCY’s Democra School Resource. The report from this work can be found here. Following advice from pupils and teachers, this guidance has now been updated and renamed as Pupils' Voices. ‘Pupils’ Voices’ is a way to promote, support and enhance pupils having a say in school. The guidance in this pack is based on the exchange of information and identifying good practice that was gathered through the Democra-School project and our recent work with NIYF. We have also used key pieces of policy and legislation, best practice examples, and the UNCRC as a benchmark for the work. You can view the guidance pack here. You can find out more information on the background to Democra-School here.